Montana recently introduced their new menu with a new Chef helming the kitchen. Previously everyone was talking about their Freak Cake, I personally feel their Coconut Cold Brew Coffee is a more notable mention. Coconut Cold Brew Coffee is still one of their main features in the new menu. Complementing their Coconut Cold Brew Coffee, Montana added V60 Chocolate ($6.80) to their drink offering. By pouring heated coconut water over ground cacao nibs to extract the intense chocolate flavour infused with the natural sweetness of coconut water. It comes in three flavours, Original, Mint and Smoky Infusion. My personal pick is Mint, as it has a minty refreshing flavour, the opposite to the nutty chocolate flavour. Our Entrée was Whitebait with Five Spice Seasoning ($11) and Fried Chicken Wings with Garlic Mirin Sauce ($12). The whitebait is crisp and crunchy. The five spice seasoning is mild, making it a pleasant starter, make sure you squeeze the lemon wedge to add some twang to this dish. The chicken wings here looks yummy at the first sight. 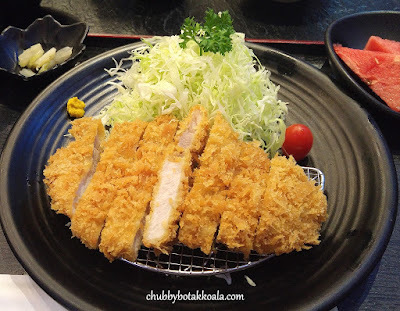 It has crispy exterior followed with juicy succulent meat inside. Unfortunately, you will soon be running for your drinks as the seasoning is simply just too much. 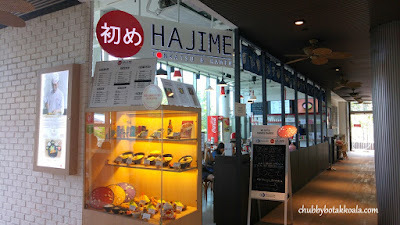 Hajime Tonkatsu & Ramen is a Japanese restaurant in MyVillage opened by Chef Tan-San. Chef Tan-San is the first Singapore Chef send to Japan to master the art of Tonkatsu. 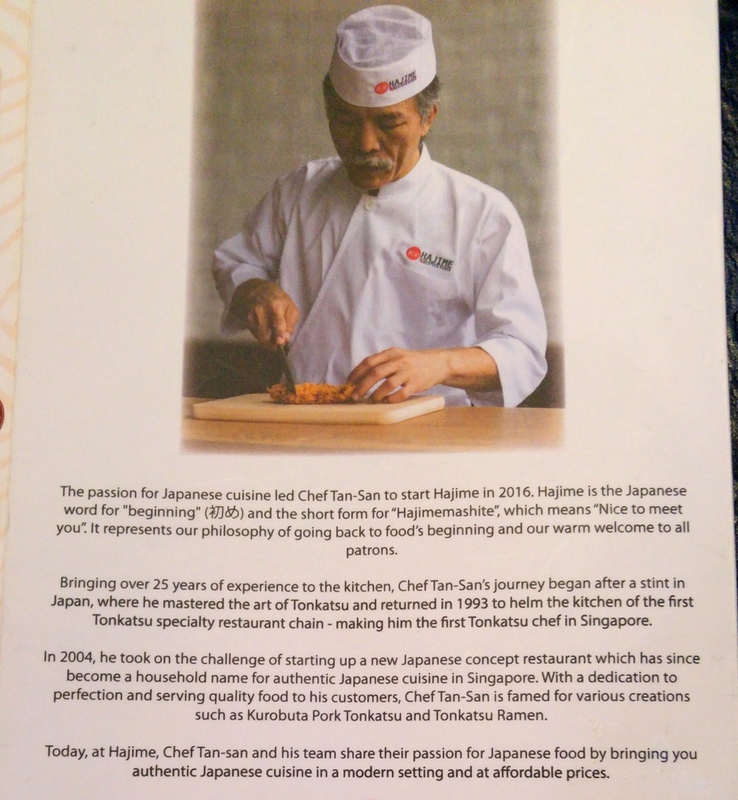 He is also the first Executive Chef of Tonkichi and Tampopo, whose names are synonymous with quality Japanese food in Singapore. 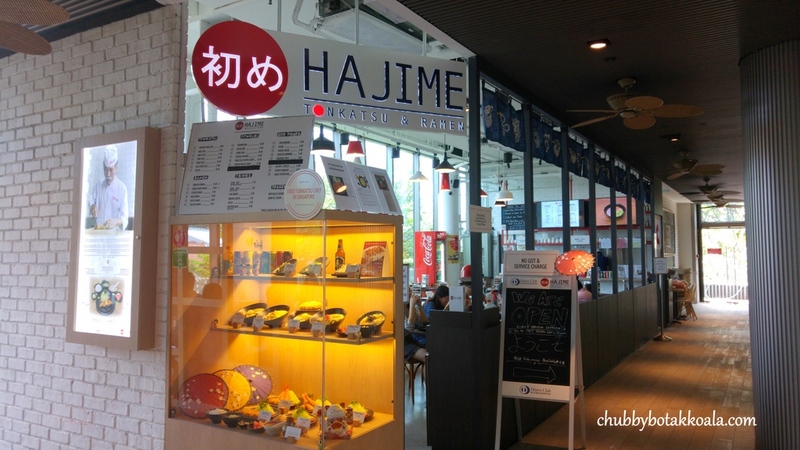 Premium Pork Loin ($21.90 for set menu) is a signature dish of Hajime. 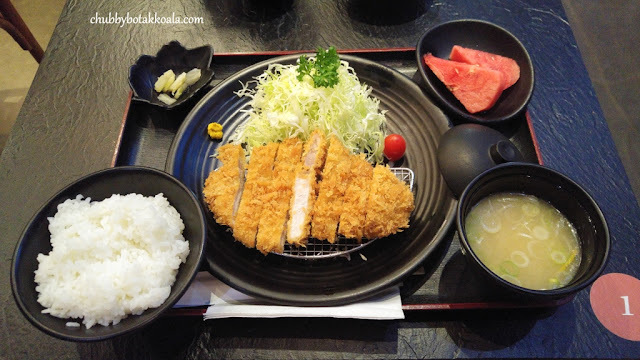 The crusted deep fried Japanese pork chop that basically melts in your mouth. The lighter part of the meat is more meaty and lean, while the darker part with the fats is just sublime. This is what you called #Porkgasm!! The set meal comes with free flow of Nigata Rice and fresh cabbage. The combination of cabbage and salad dressing just opens up your appetite. Tonjiru soup is the tonkotsu broth that has been simmer for 12 hours. Expect a mild milky pork soup that sooth the throat when you slurp it. 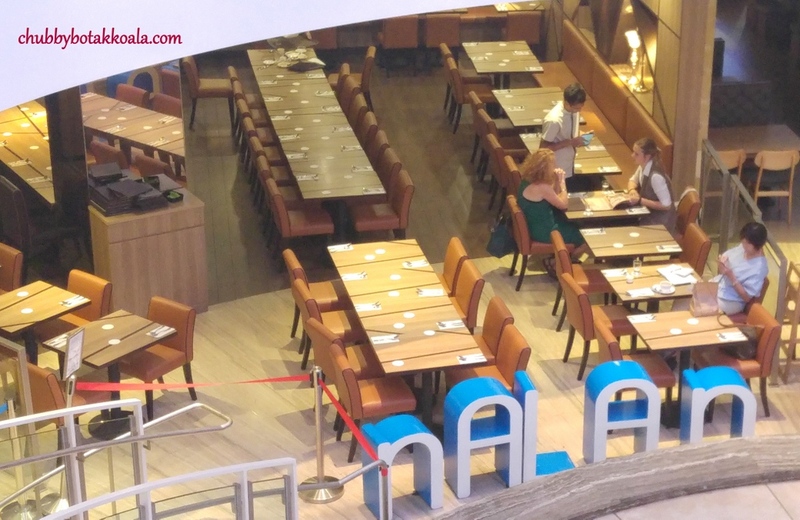 Sakunthala's Food Palace is a restaurant where you can enjoy Indian cuisine and Chinese cuisine in the same place other than food court or room service. It is definitely the first time I ever see Indian restaurant in Singapore that showcase their seafood live in the tank in the dining section. To maintain the authenticity of Indian and Chinese cuisine, Sakunthala's have two separate kitchens. Each kitchen is commandeered by different Chefs specialising in their cuisine. One of the staple dishes here is their Curry Fish Head ($26 for small, $30 for big). Instead of the common red snapper, Sakunthala's use Angoli fish head (Sea Bream), one of the better quality fish. The fish head is definitely fresh, cooked with curry spices and other vegetables such as lady fingers and eggplants. The curry is thick, rich (solid lemak) and creamy. It is not too spicy for a South Indian dish standard and it lacked the tanginess of the assam. I personally like it, but LD prefer more tanginess in the fish head. Nalan, one of Singapore's leading Indian vegetarian restaurants that showcase authentic vegetarian recipes from North and South India. The team behind Nalan believes in the rejuvenating powers of this healthy lifestyle, where this meatless cuisine made from the freshest and finest ingredients. We started the dinner with Cream of Mushroom (S$7). 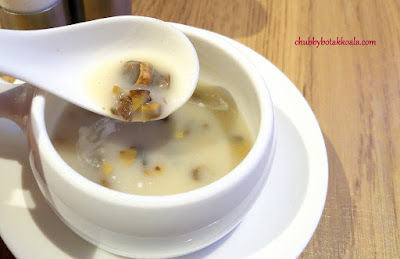 It looks similar to the regular cream of mushroom soup, however the version here very peppery. It sure warms the throat and heats up your taste buds in anticipation what comes next. Daaba Salad ($6). Looks like general Ahcar vegetable mix. However, they really crank up the heat on this salad. Further CSI-ing, I found chopped Bird's eye chilli inside. I actually gulp down a significant amount of my mango lassi ($5) to put out the fire. For those who likes fiery dishes, this is the one for you. 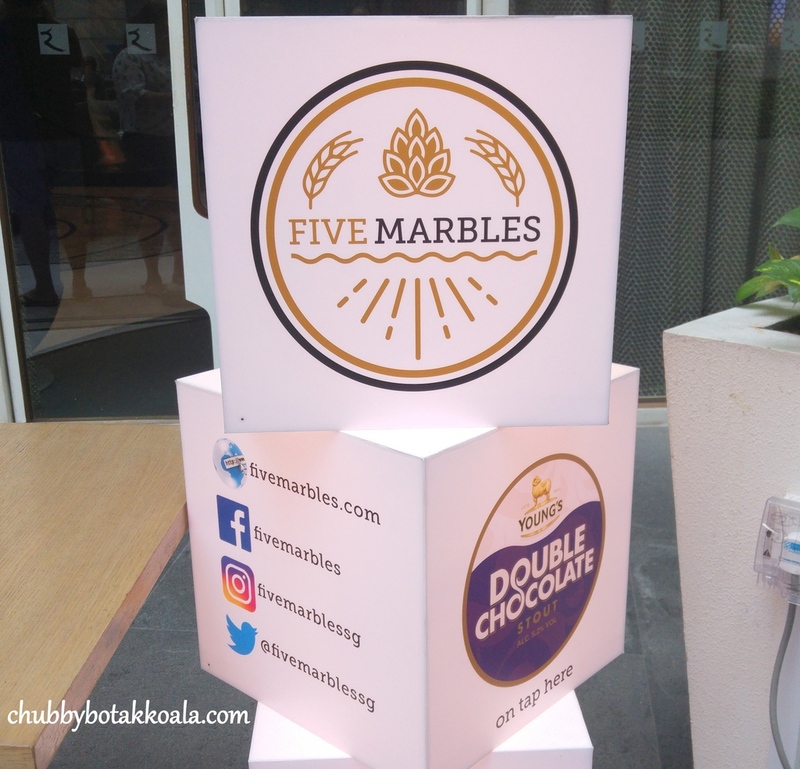 From Left: Mango Lassi, Badam Milk and Butter Milk. Tandoori Platter ($25). 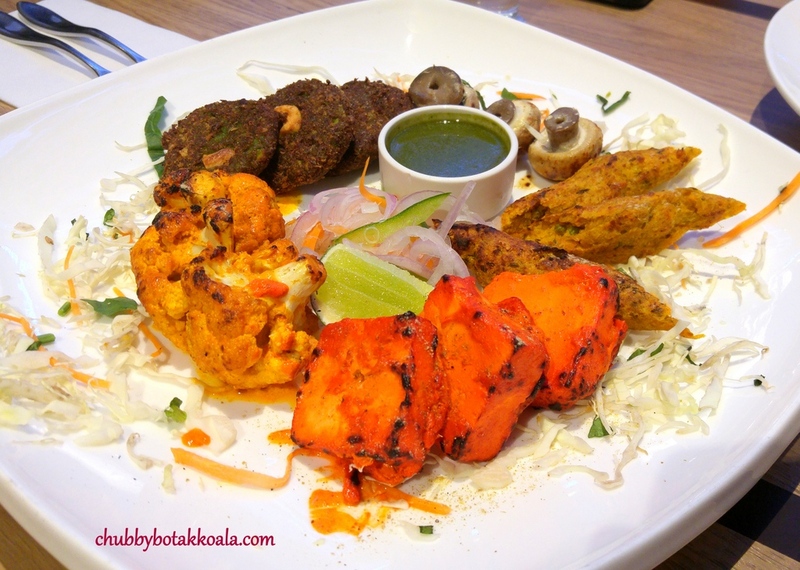 Paneer Tikka, Vegetable Sheek Kebab, Hara Bara Kebab, Tandoori Cauliflower and Tandoori Mushrooms. Our version of the platter tonight. Interesting and my personal pick is the Paneer Tikka. The blocks of the cottage cheese are thick, creamy with a slight smokey flavour. 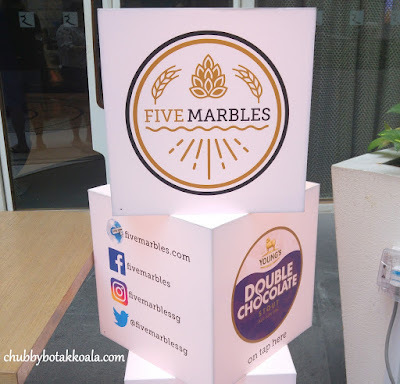 Five Marbles, a new restaurant set up with the idea of building a community of people who love great food and great beers. At any day, there are 12 craft beers on tap sourced from this little red dot, Japan, Australia, USA, UK and New Zealand. The craft beer list will be refresh from time to time, to allow the customer to savour the exciting offerings. 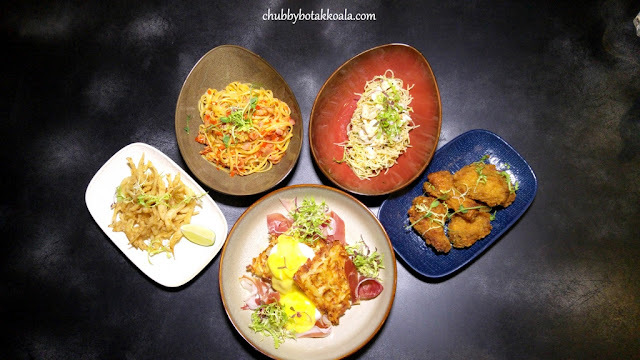 Following the theme of the restaurant, the food here is also infused with their craft beers. Don't worry, you won't get drunk from the food, but you can definitely get high from the beers. We started with Craft Beer Mushroom Soup ($9). Made with four type of mushrooms: shiitake, portobello, white button and oyster. The brownish dark colour soup is robust, creamy and filled with complex mushrooms flavour. Watch out for the hint of beer flavour at the end of each slurp of the soup. Portobello Chicken Cheese Baked Beer Rice ($16). A flavourful mushroom and chicken rice, topped with cheddar cheese. It is then oven-baked, to melt the cheese and create a crisp texture of the cheese. The rice is al-dente, and you can taste the chicken and mushroom in each bite. A solid baked rice dish.